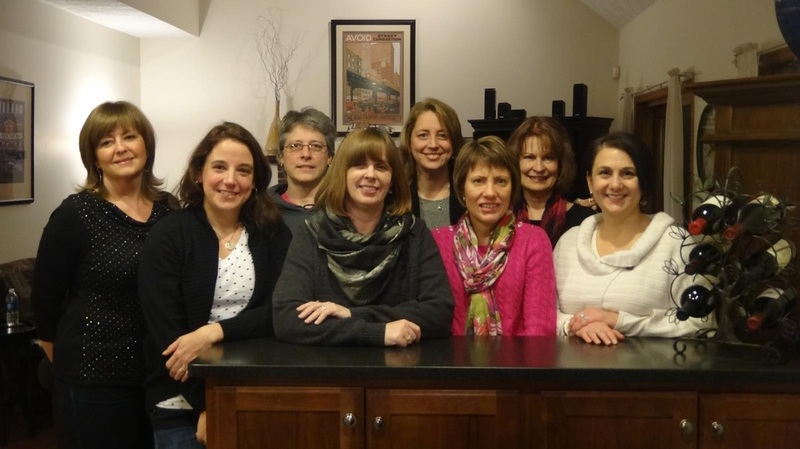 Thank you to the lovely ladies of the "And We Digress" book club for their gracious invitation to chat about Death Benefits, and then for having me back when Life After Death released. A wonderful group, fun discussions, and all around great evenings! 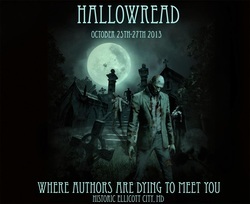 Hallowread is a book festival and mini-con for authors and fans of Paranormal, Urban Fantasy, Steam Punk, and Horror. Multi author event with various activities throughout the weekend including Ghost Tours, SteamPunk Author Tea, Author Panels, Readings, Dracula performed by Chesapeake Shakespeare Company, Author/Fan Brunch. 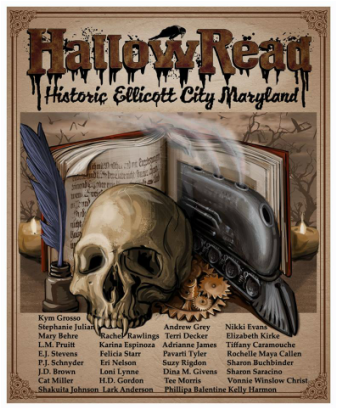 October 25-27, 2013 in Historic and Haunted Ellicott City, MD. Love, Light and Angels: A conversation about near death experiences with Sharon Buchbinder, Jayne Howard Feldman and Sharon Saracino. The Other Side: Experiencing the paranormal with Joya Fields, Jolea Harrison, Sharon Buchbinder and Sharon Saracino. What fun! Thanks to Jeannie and Norb O'Donnell for hosting a book signing for Death Benefits and sharing their delicious wines! Thanks to everyone who came out...hope you all enjoyed it as much as I did!